Are you searching for a done-for-you sales funnel for your online business? 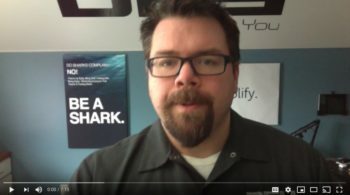 Are you wondering why you need a DFY sales funnel, and why you should choose it over a do-it-yourself funnel? This article explains the advantages of done-for-you sales funnels and will help you decide whether it is the best choice for your business. Having a sales funnel (or many of them) on your website can help you to convert web traffic and visitors into customers. Random website visitors can actually make a buying decision because of your influence and consistent engagement with them through a sales funnel. Influencing a purchase decision throughout the buyer’s journey involves multiple-level conversations with visitors. A sales funnel offers precisely that; it is step-by-step guidance with the goal to turn visitors into customers. A DFY sales funnel begins with creating curiosity among the visitors about a problem and a possible solution that your product or service can offer. Once curiosity is generated, your sales funnel will take your leads to the next stage; It will offer more information and detail on how your product or service can really solve the potential customer’s problem. This leads to a call to action, where the leads who have turned into warm prospects are finally invited to buy your offering. 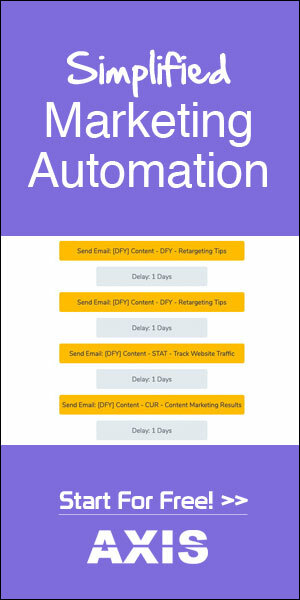 This entire process happens through pages and elements on your website, with the assistance of third-party services, like autoresponders or, otherwise called, email marketing platforms. Setting up a sales funnel and keeping it live and updated requires a good deal of planning and domain expertise that businesses often do not have, and they shouldn’t have because this is not their core product. Here come in the picture pre-made or done-for-you sales funnels. As the name suggests, a done-for-you funnel is a turnkey solution that will be delivered live and working on your website or blog. A DFY funnel can also be a template that you can use as a base to build your own funnel – but that again may require some marketing or technical expertise. As businesses and busy executives do not have the knowledge or time to take up the task of setting up funnels and keeping them active and optimized, the work is often outsourced to a DFY sales funnel agency. Most businesses often do not have people for advanced technical tasks, unless it is their key area of business. Also, marketers and those responsible for driving sales and growth often do not have enough technical knowledge to build an online sales funnel. What’s more, IT staff wouldn’t be expected to have an understanding of how funnels work or what can make them produce better results. Since copywriting and the step-by-step funnel process are the pillars of a good sales funnel, your technical staff wouldn’t be the right people to turn to. It is not only website design that gives the visitors a soothing welcoming feel when they land on your pages. Compelling and engaging content is key to the success of funnels. The whole concept is to turn a random visitor into a qualified prospect and, eventually, paying customer. A funnel stays with the visitor throughout the buying process. That’s why funnels you need to tackle design, development, copywriting and comprehensive planning of the process. A done-for-you funnel is a one-step solution to all your needs that can convert your website from a cool place of information about your company or brand into a robust system that generates leads, sees a conversion point, and closes the sale. Unlike when it is done in-house, done-for-you funnels undergo rigorous tests during their development so that they are able to produce optimum results. They are created by experts who understand the nuances and technicalities of the business. They are aware of the common pitfalls in setting up a funnel and they know how to tackle them while the same task can prove to be too much for your IT department. It is not about setting up a funnel, it is about a funnel that does the job, and does it repeatedly with a greater degree of success. One of the key tasks of the website is to generate leads and help the visitors take a decision to make the purchase. This task cannot be completed, if the website lacks a sales funnel that is geared up to convert the visitors into customers. Setting up a funnel is part of the website designing process where necessary care is taken to provide all relevant information to the visitors that can help them make a buying decision about the product or services on offer. Since this involves a process in which many people work together and create necessary IT processes to promote the company’s sales offerings, it needs its own ecosystem to work efficiently and productively. So, outsourcing the funnel to a service provider can be a good option for companies and their promoters to optimize the gains from it. The service providers are in a better position to implement any new development in technology or a course correction that is needed in the funnel to make it more in tune with the needs of the customers. Professional agencies that prepare DFY sales funnels carry out required research to find out what is in trend and what other competitors are doing. They are able to identify the best and winning features on the competitors’ funnels and improvise and implement them on your funnel to make it trendy and effective. Keeping a close watch on what the competitors are doing with respect to their funnel may not be possible for a company but this is not much of a task for a service provider, which develops hundreds of such funnels every year and maintains them on a day-to-day basis. Taking professional help or opting for done-for-you funnel can, however, turn the tide in your favor. You may or may not have an idea of how much keeping an eye on your competitors helps you improve your own systems and processes. But the service provider who creates done-for-you funnel for you has a reason to make it better than your competitors. So, allow your service provider to bring you a detailed analysis of your competitors’ funnels and let that help you take appropriate decisions as to where and how you want your funnel to be different from your competitors. Done-for-you funnels come in a variety of designs and templates that ensure that your funnel never looks outdated or the same as your competitor’s funnel. Pre-made sales funnels don’t have to look ordinary. DFY funnels are designed and developed by experts who take care of every detail to make their products superior and unique. If a DFY funnel template is what you’re buying, you will have the liberty to choose themes, color combinations, and features you wish to implement. You can duplicate the templates and design as many funnels as you need. What is important to keep in mind is that funnels work through a series of conversations conducted through content. 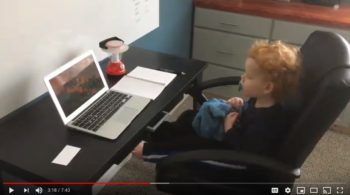 So, it is basically the content that makes your DFY funnels unique. Can you trust your DFY funnel provider to create such content? In case they are not an expert in content creation though they may know people who can undertake such tasks on your behalf. However, content is an area that would always require serious attention on your part because you alone know the product and the brand in its complete personality. With your content and your service provider’s technical expertise in setting up a funnel, you can create a unique funnel that wins customers effortlessly. Done-for-you funnels are designed to meet your needs and serve its basic purpose of converting ordinary visitors to the website or blog into customers. The funnel stays with the visitors through the entire process until they arrive at a purchase decision, giving appropriate answers and explanations to their queries and making it easy for them to take an informed decision. So, DFY funnels are the best option for you to drive sales and revenue and make your site achieve higher success. DFY funnels are tailor made and they take care of all your needs in the most efficient manner. Even if the agency you work with is using a template, they will completely adjust it to serve your leads’ unique path to becoming customers. It will be adjusted to your particular needs, and incorporate any extra steps that help your prospects convert into customers. Different businesses have different needs; DFY sales funnels are made for any type of business, ranging from large e-commerce stores to solopreneur websites. Make sure your agency understands the critical points where attention, interest, and desire are triggered for your business leads. Then, the agency will make sure that the sales funnel enhances those trigger points and entices web visitors to take the appropriate next step. Time is money, and since DFY funnels are developed by experts that have completed similar projects, again and again, you can expect fast turnaround time. It is in your own interest to get the DFY sales funnel project finished fast, so it can start delivering the results instantly. If the same work is done in-house by the company, the process can take longer due to the lack of domain expertise and competence. So, it makes more sense to engage a service provider and get a DFY funnel designed and built. Of course, you need to brief the service provider about the products and services being offered, the key features, pricing, target market, etc., so that they have a complete picture of your offerings and can design a more presentable form of a funnel that wins the visitors hands down. You will transfer your offline experience to the agency, and they will re-create that to facilitate online sales. Setting up a high-conversion funnel is one thing; maintaining it is another. Although building a DFY sales funnel can be a one-off project, it is highly recommended that you keep track of what’s happening, and also optimize elements that contribute to a higher conversion rate. So, as the funnel goes live, you should start tracking results. For example, number of visitors, bounce rate, conversion rate per stage, autoresponder open rates and click-through rates, and more. Then, ideally, you should optimize to improve those KPIs. To do this, you use a combination of intuition and split testing. The agency you’d be working with should have the experience and split testing tools to continuously improve your funnel. Although a DFY sales funnel works for you even when you sleep, it is recommended that you analyze and optimize it to make the most out of your investment and ad spend. Also, as with all things online, tech-based elements of your funnel might break, so you need to make sure that someone keeps an eye on your funnel pages. You wouldn’t want to send paid traffic to a 404-error page, would you? Once you purchase a DFY sales funnel, it is yours. The agency will set up the funnel on your domain, gives you passwords and access details and will show you how the funnel works. Then, the ownership of the sales funnel rests with your business. You can modify it as you wish, although, as we explained earlier, it is recommended that you have an expert manage the funnel so that you don’t break something. We hope that this article gave you a complete picture of DFY sales funnels. Undoubtedly, funnels are an important aspect of building and growing a successful online business. After all, why have a website or a blog if it doesn’t create curiosity among the visitors and convert them into customers? A website shouldn’t just be used to display your products or services; it should be used to promote and sell them. It goes without saying, websites and blogs are an excellent medium to provide information about your products and services. However, if your website’s goal is only to provide information then you are leaving a lot of money on the table. A website should be built to operate as a complete sales funnel, which means that all pages should contribute to the process of converting visitors into customers. This might happen instantly or within a defined period of time. Once a done-for-you sales funnel goes live, then your website is transformed into a marketing and selling tool, exactly as it should be. If you have a website already, then a DFY sales funnel is a vital addition to it, and it can help you increase overall sales and revenue instantly. 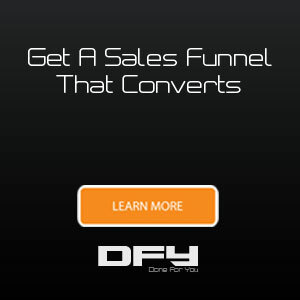 Need a DFY sales funnel that works 24/7 and is time-tested & optimized for high conversions? Get in touch with us! How does a sales funnel work? Here is a breakdown of the key components of a sales funnel. 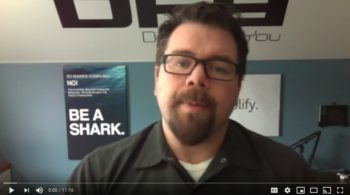 And here is a sales funnel primer: Online sales funnels 101. Learn more about how you can convert traffic into sales. In this article, we gathered the top sales funnel Q&As. How to create a Facebook Ads funnel. Read more about the exact sales funnel formula that we use to drive tons of targeted, high-converting traffic to our business and our clients’ business in our brand new version of the Funnel Factor report. No time to read? Register for our on-demand Sales Funnel webinar that you can watch at any time from the comfort of your home.